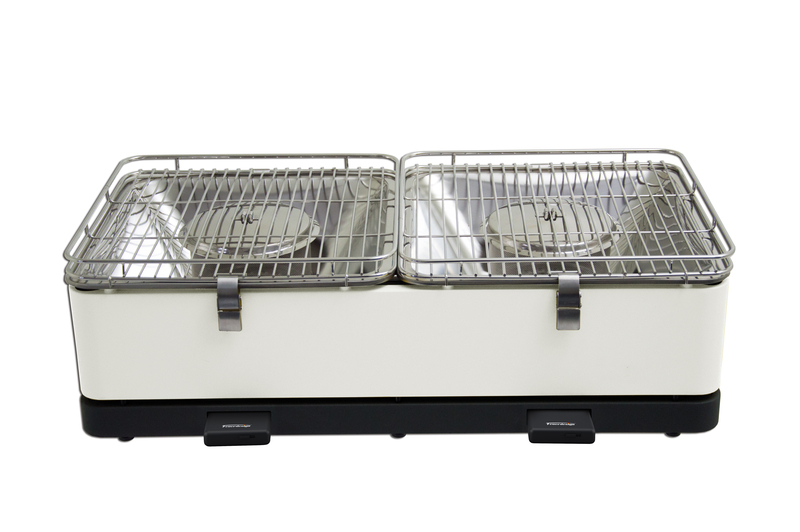 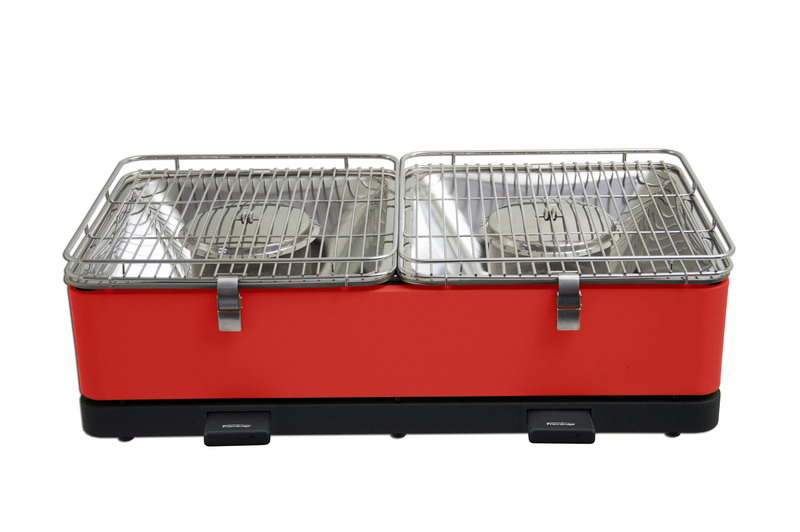 In addition to our range of mini kitchens and electrical appliances, we are also the EXCLUSIVE supplier for the FEUERDESIGN range of tabletop barbecues. 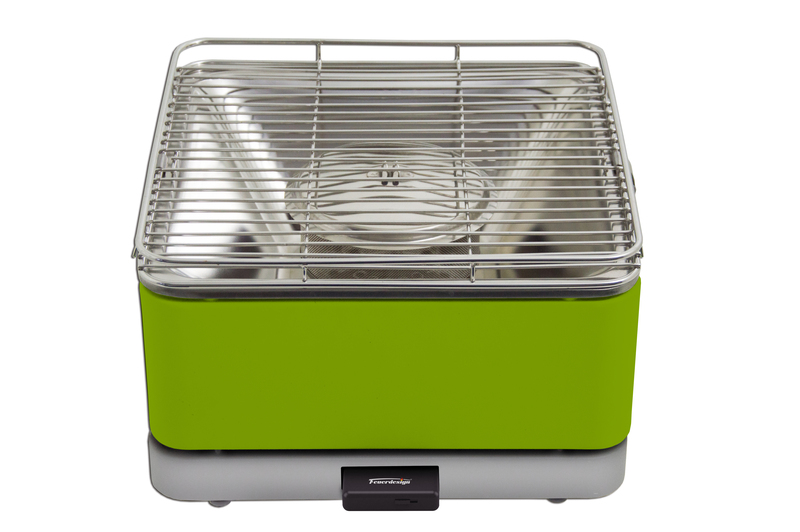 This is where innovative design meets modern technology. 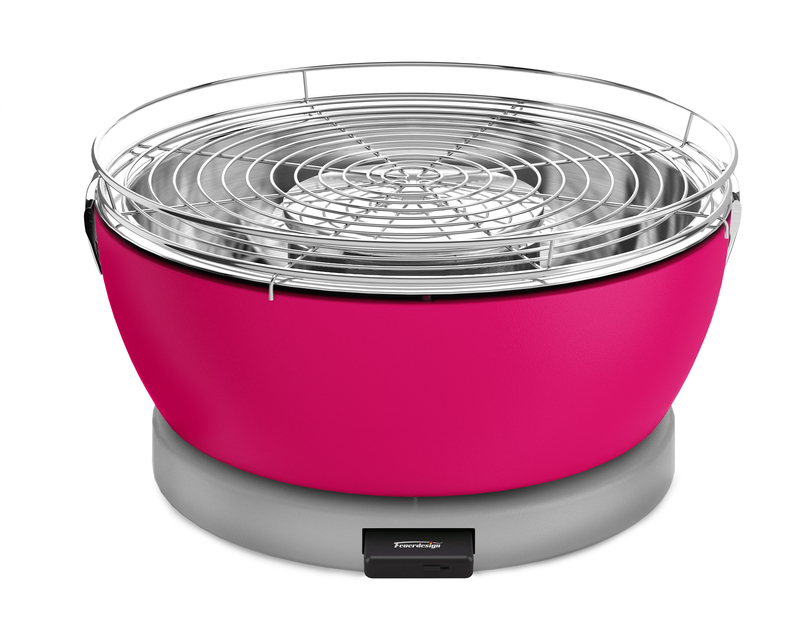 Outdoor barbecues made easy! 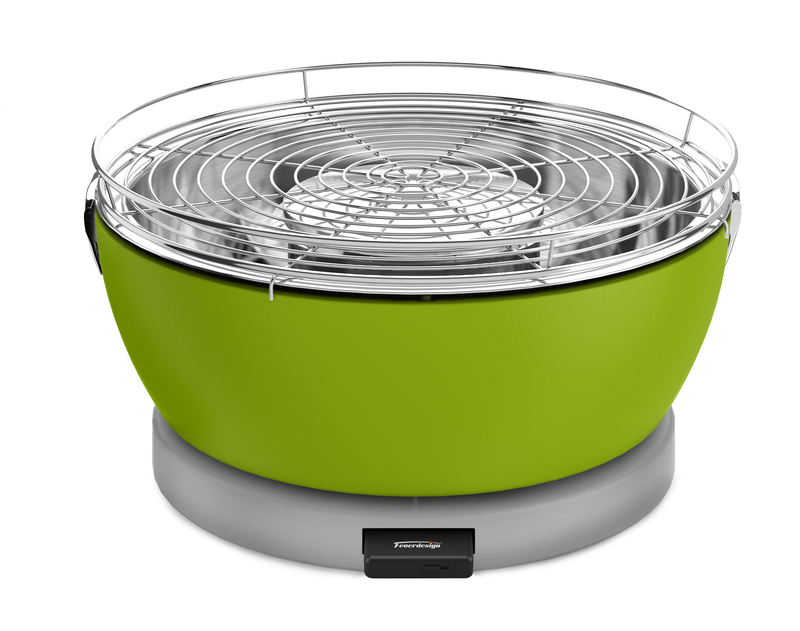 The modern, smokeless barbecue grill has got a new name: FEUERDESIGN. 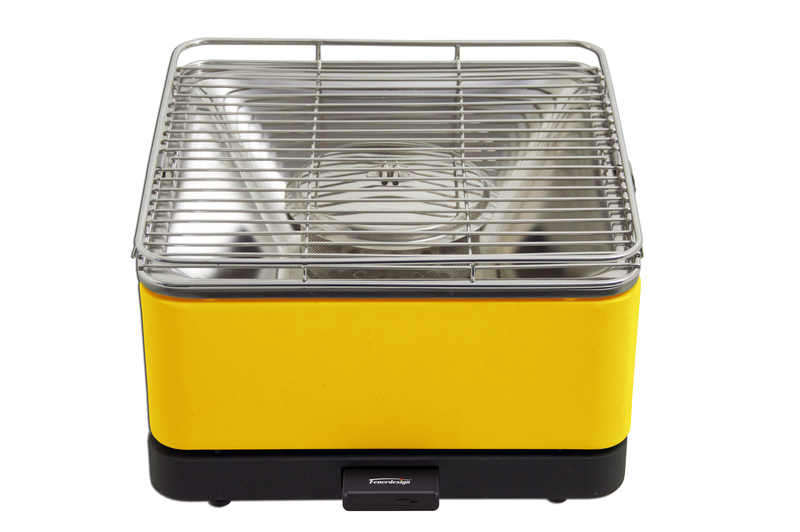 This portable barbecue is synonymous with conviviality, fun and cool design. It only takes a few minutes and your barbecue is ready to go. 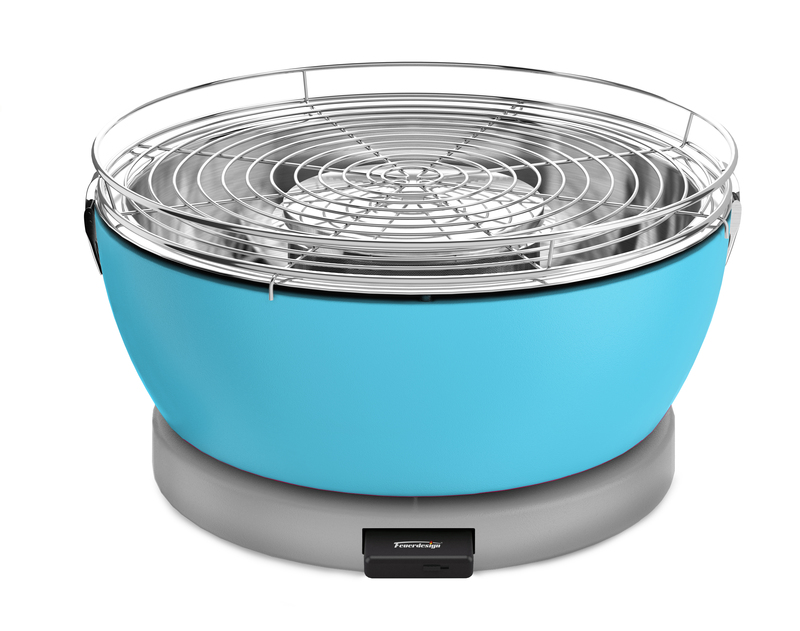 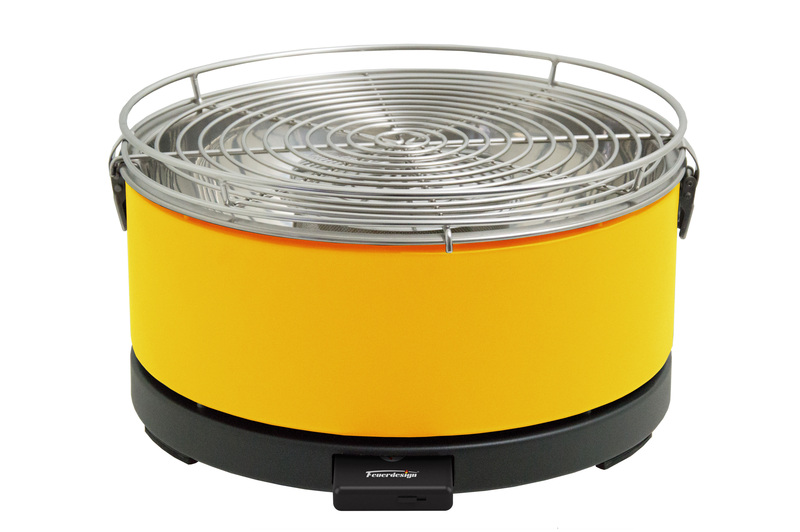 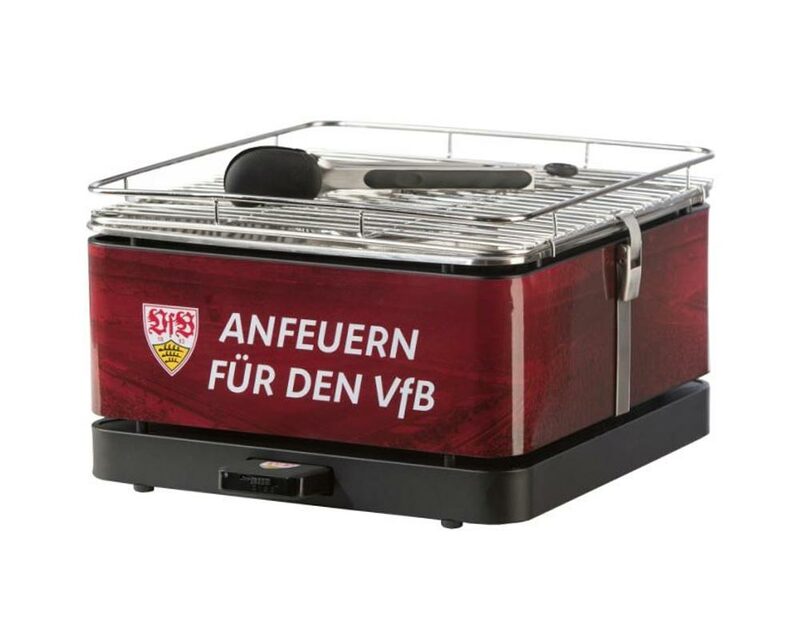 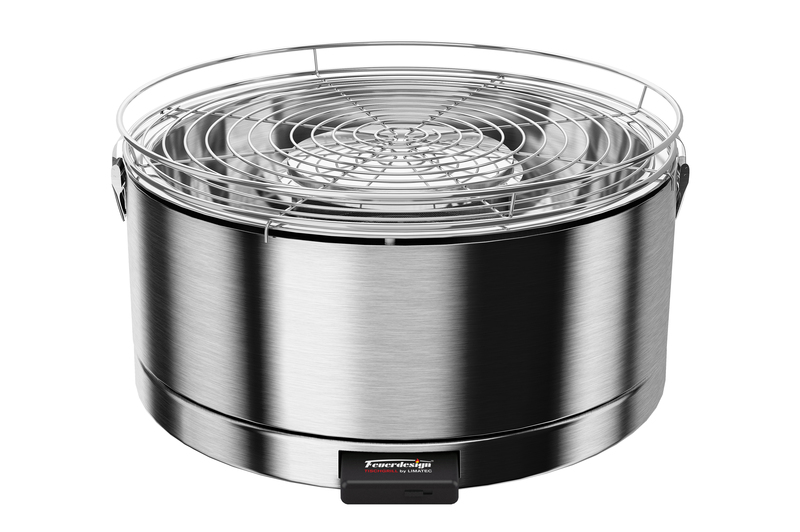 The unique fan unit allows you to cook your food within minutes and serve your guests the best meat and fish specialties.Take the portable barbecue with you for a picnic by the lake, to your next camping or motorhome vacation or just to your next garden Party. 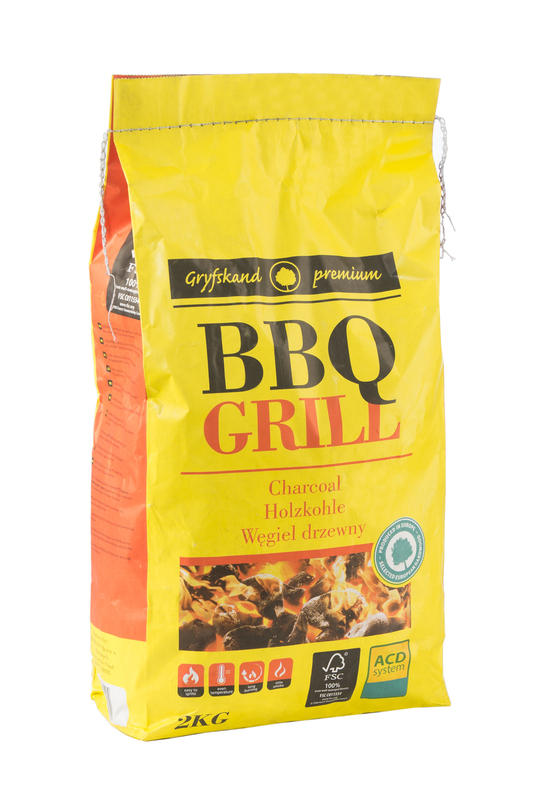 The practical carry bag and high quality barbecue tongs are included. 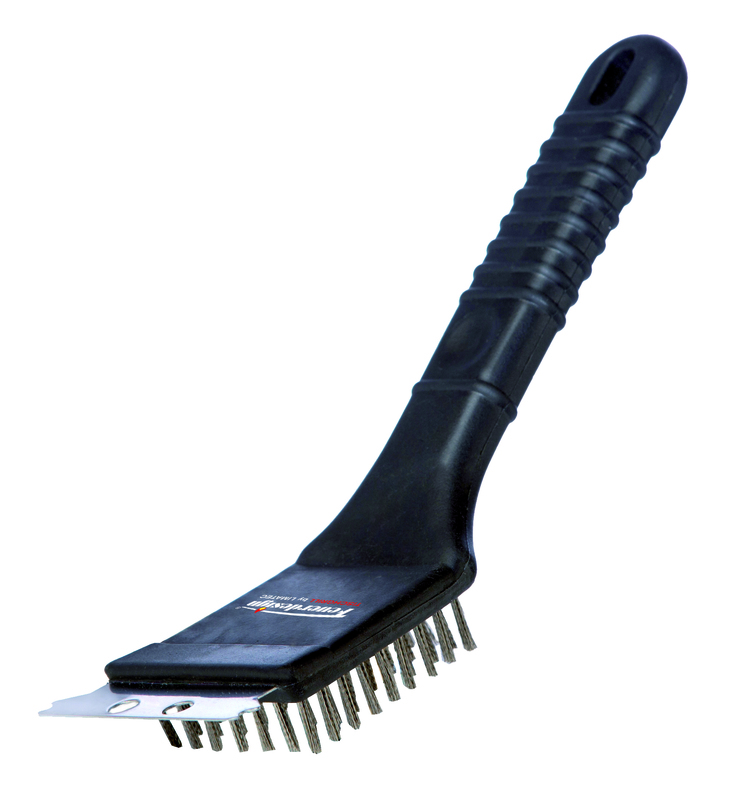 Do ask us about our extensive range of accessories! Our FEUERDESIGN table grill is available in the four models Vesuvio, Mayon, Teide and Santorin as well as in various trend colours. 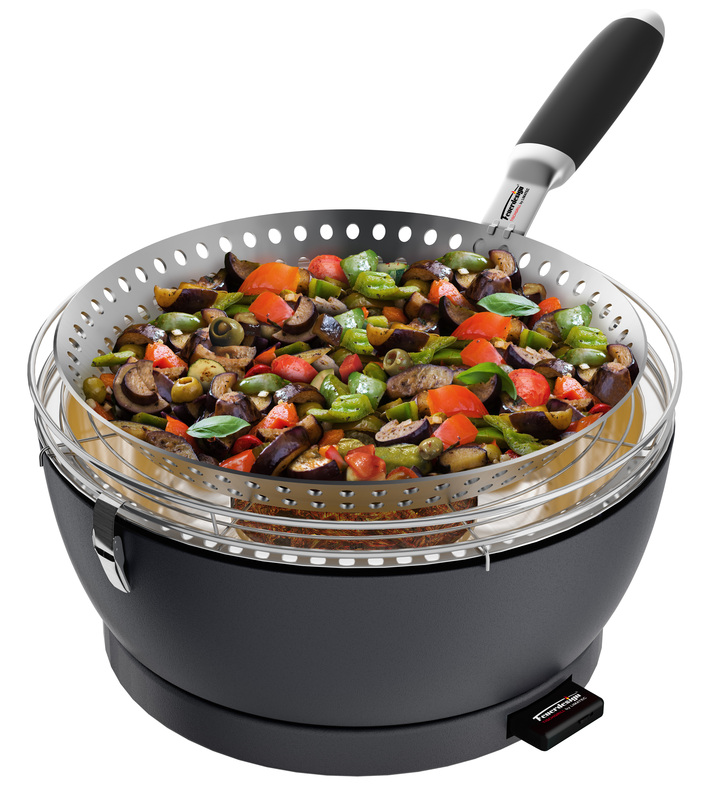 For the colour overview of the individual models, click on the pictures below. 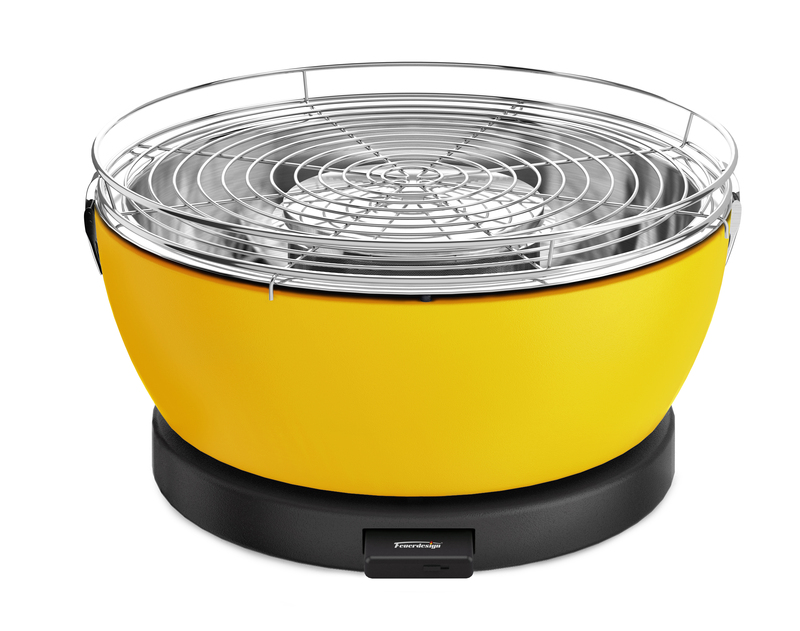 You can see the different colours by hovering over the image and then clicking on the arrows on either side. 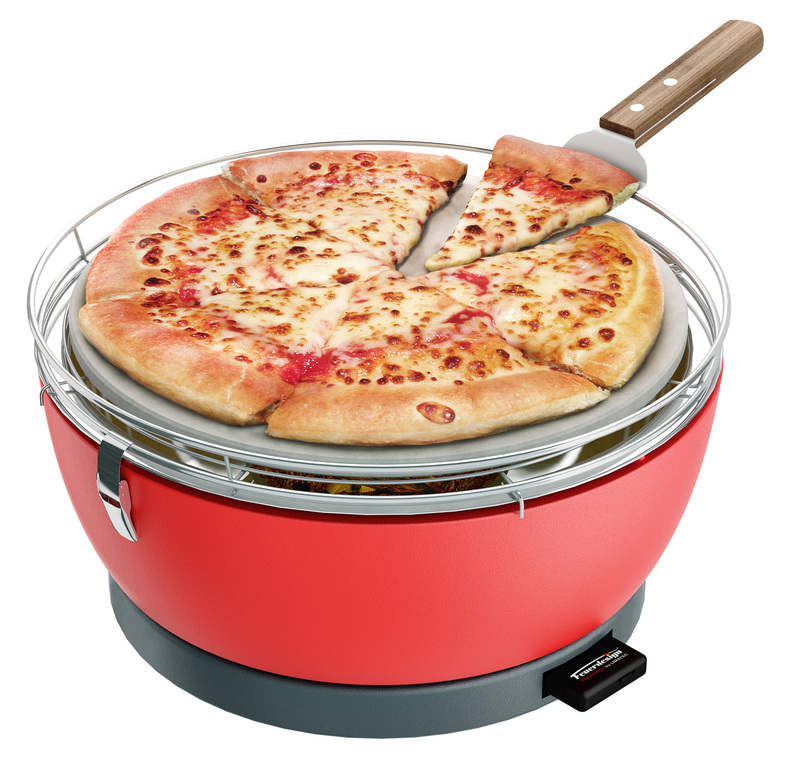 Clicking on the image magnifies the model you are looking at. The FEUERDESIGN BBQ is used with charcoal which will be placed into the charcoal basket. 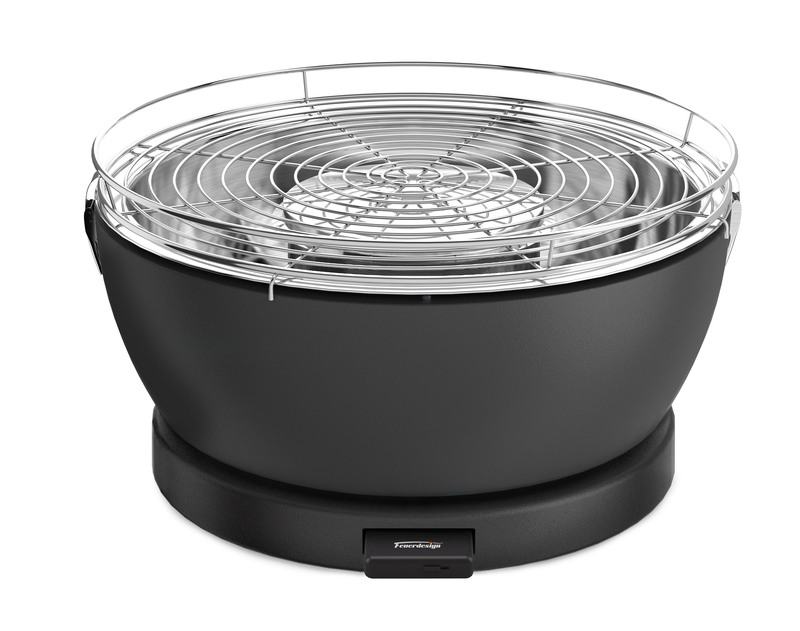 The housing remains pleasantly cold itself because of its multi-shell construction, while the grillables are optimally heated on the grillage. 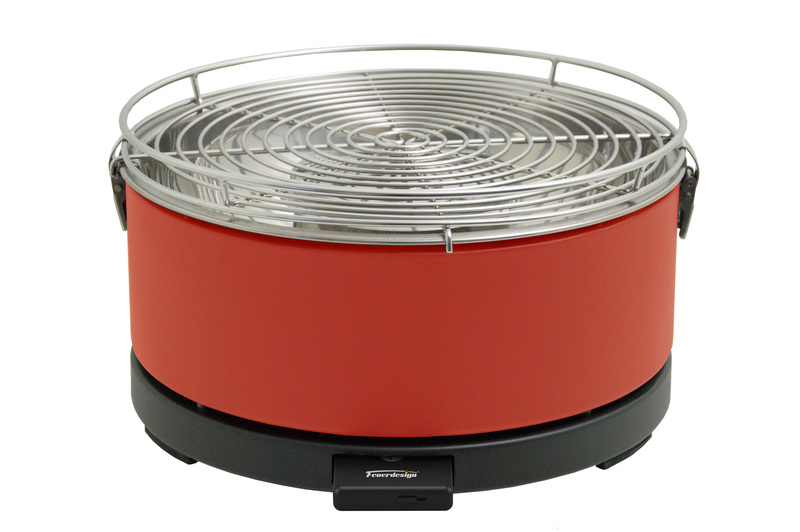 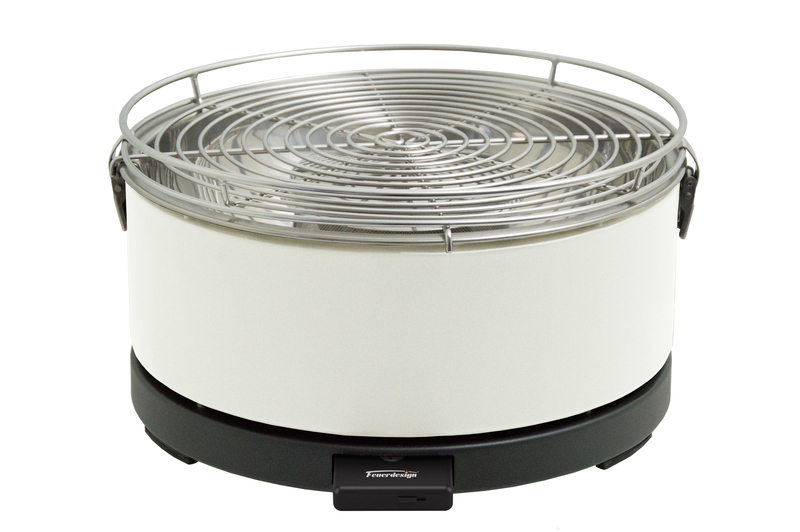 The built-in blower ensures the perfect cooking temperature and can be individually controlled by the user at any time. 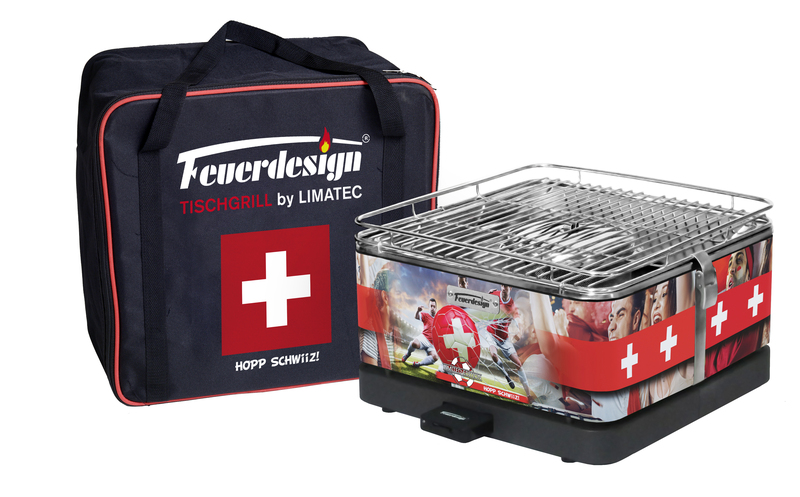 The table barbecue FEUERDESIGN guarantees an incomparable barbecue experience for you, your family or your friends in a social atmosphere thanks to its simple and fast handling, high quality, robustness and longevity. All in all the table barbecue offers a space for 3 to 4 people. 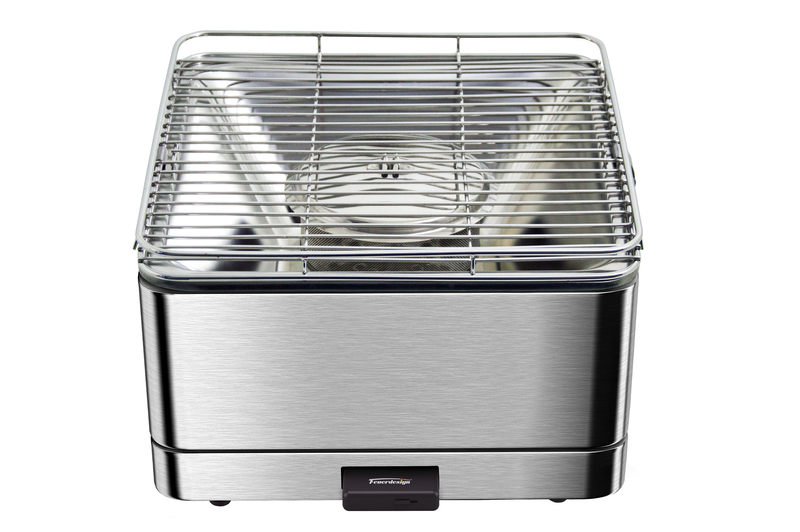 The gadget can be cleaned easily and without additional effort by simply removing the grillage and the drain pan. 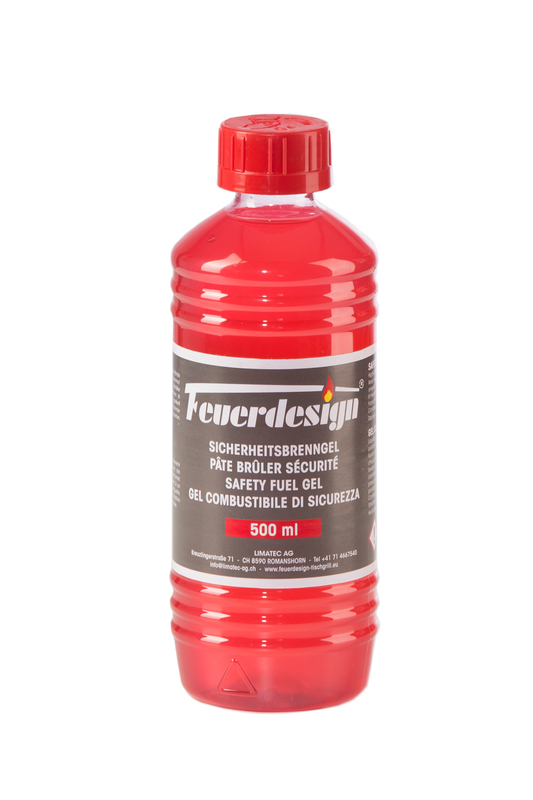 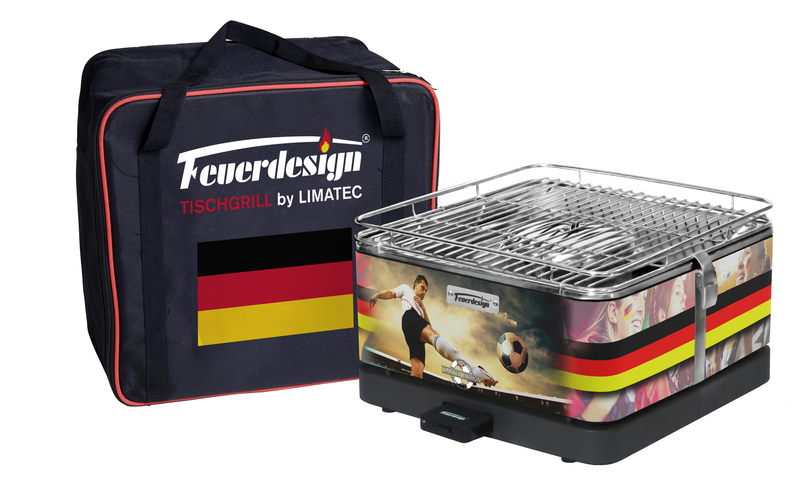 Enjoy the barbecue time with our BBQ´s from FEUERDESIGN. Check out our product video for further Information!